Annuities is a financial instrument normally sold by insurance agents with the view of taking a lump sum from you in exchange of returning a fixed sum of money every month. 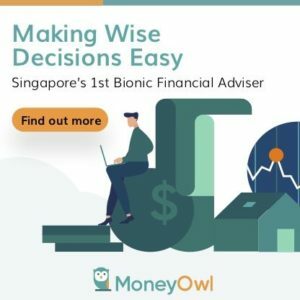 In Singapore, the most common annuity that we come across is our CPF Life. It is very unpopular and people seem to think it is a way the government refuse to let us take back our money. But for me it does have its use, just that people find it hard to justify whether they are getting a good payout our return out of it. 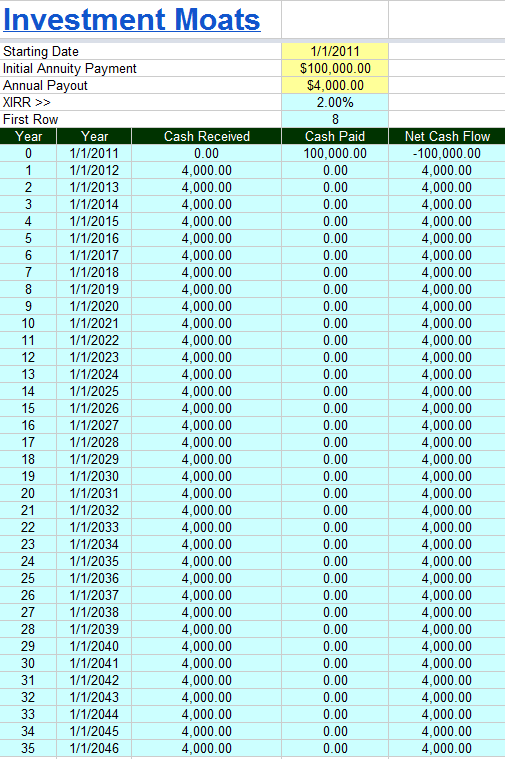 Lets say we have Jack who has $100k and would like a yearly payout annuity. He buys an annuity with a yearly payout of $4k. What is his return like? If Jack lives till the age of 100 years old, his rate of return from his payout would have been 2%. That sounds low, but I suspect that is the prevailing annuity rates. However had Jack not live for so long but till 85 years old, his rate of return would be –2.04%. This would mean that he is getting less than what he originally payout. Given the risk that you would not outlive to see a good payout, why do you still buy it? For one thing, this is a bet that medical science will improve to the extend that life expectancy will go up and that you may outlive your income stream. Annuities would provide a fix payout. Should at the age of 66 onwards, the world experience higher than expected inflation, what is going to happen is that your $4k payout will not keep up with inflation, which is the same as bonds. The opposite can be said that had we have a 18 year cycle of deflation, your annuity would have done better. This got me curious about why there are advertisement claiming 7% income guaranteed payouts. The Aleph Blog is a blog I read often. This guy is a bond guy but his posts are well written and really useful for the average investor. Do bookmark and read what he writes if you can. So why the difference? Immediate annuities work off of the idea that a lot of people will die, and money from their annuities is reallocated to the living (minus a profit for the insurer, on average). The insurer earns 4.5% on its investments, and additional money of 3.5-5.0% from deaths of annuitants supports the payments of those living, with 1% to cover commissions, administration, and profits. So, they advertise that they are paying you 7-8%+, when they are really paying you 4.0-4.5%, and exposing you to the risk of inflation, because that payment will never rise. Ask them for payout levels on inflation-adjusted immediate annuities, and watch your jaw drop as you see how relatively low the payments are. Given the bad press in general about CPF Life, I do find that this is a logical promotion by the government of Singapore. 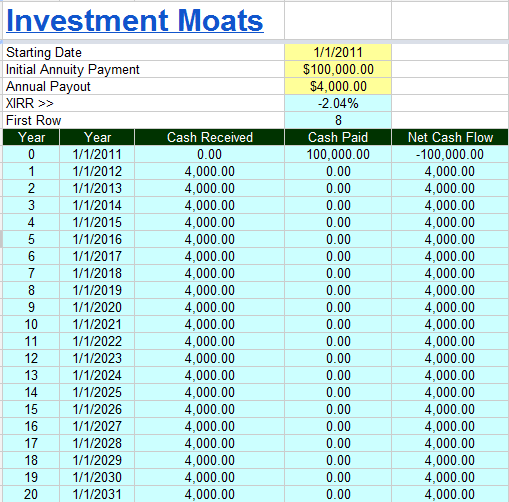 For the investment savvy, my take is that you should not totally rely on annuities. Building up a nest egg that keeps up with inflation at a low cost to supplement your CPF Life annuities. good effort to write. an annuity is a hedge for longevity risk. You should emphasize more on the financial strength (default risk) of the insurer firm, not on ‘returns’. thanks for highlighting the shortfall in my analysis. it is true that should you expect certain payments indefinitely the financial strength of the institution becomes an important factor.